This is classed as a fat burner with stimulants, this means it contains caffeine and neuro-stimulants to help mentally and physically boost your workout performance by increasing your focus. This fat burner will also greatly assist in helping reduce fat lost through boosting metabolism and transferring fat cells back into usable energy for the body to utilise, therefore resulting in fat loss. 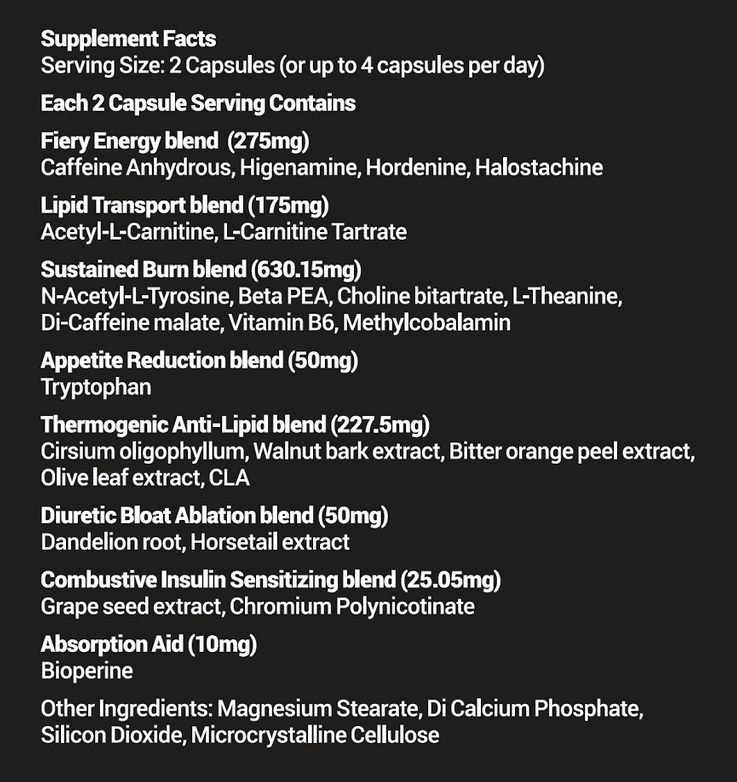 Prometheus by Slimtum is a new fat burning capsule on the market! In mythology, Prometheus stole the fabled fire of Olympus from the Gods for the benefit for all mankind. Prometheus by Slimtum uses the twin fires of scientific knowledge and natural wisdom to optimise your energy levels and metabolism to Olympian levels so you can take on just about anything! The cutting edge lipolytic formula unleashes extreme fat burning components to help you get into shape. Prometheus by Slimtum increases metabolic function and helps you burn fat with Acetyl-Carnitine and L-Carnitine Tartrate. 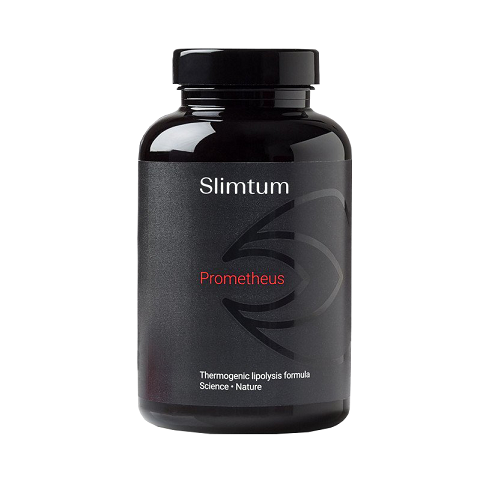 Prometheus by Slimtum can also increase energy, insulin sensitivity and help with appetite reduction. Slimtum also gets that people are busy and that is why burning fat can be a little easier with these quick and convenient capsules, so there is no mess and you can forget about washing those shaker bottles! So conquer your day with Prometheus and get closer to your fitness and performance goals! Manufacturer recommends to take 2 capsules or up to 4 capsules per day. Take one at a time to assess tolerance.